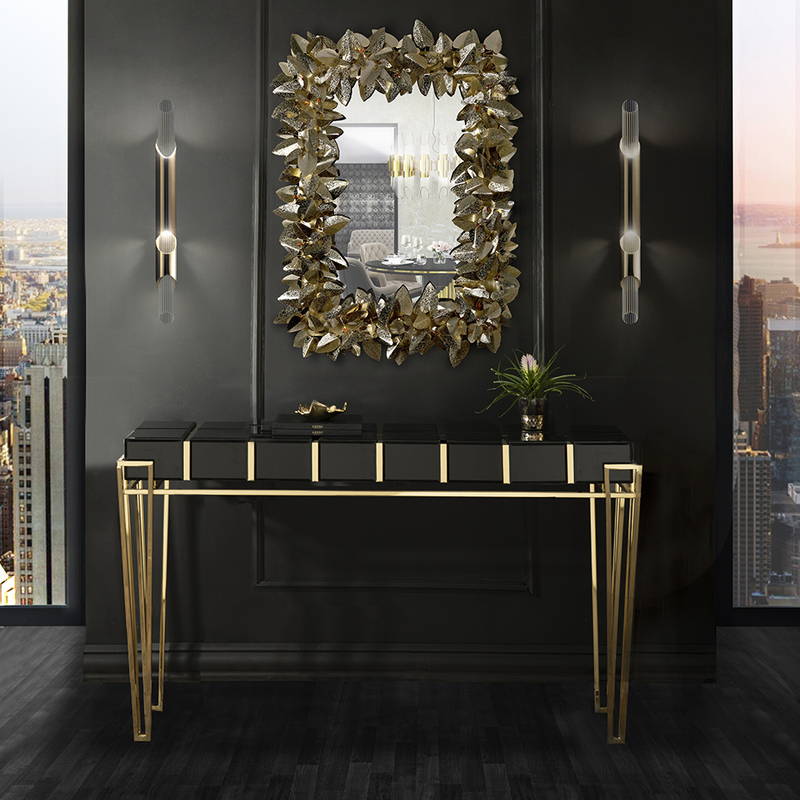 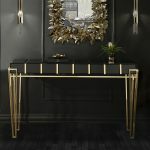 A stunning mixture of glass, metal and wood, the nubian console makes a bold statement no matter what setting it is placed in. 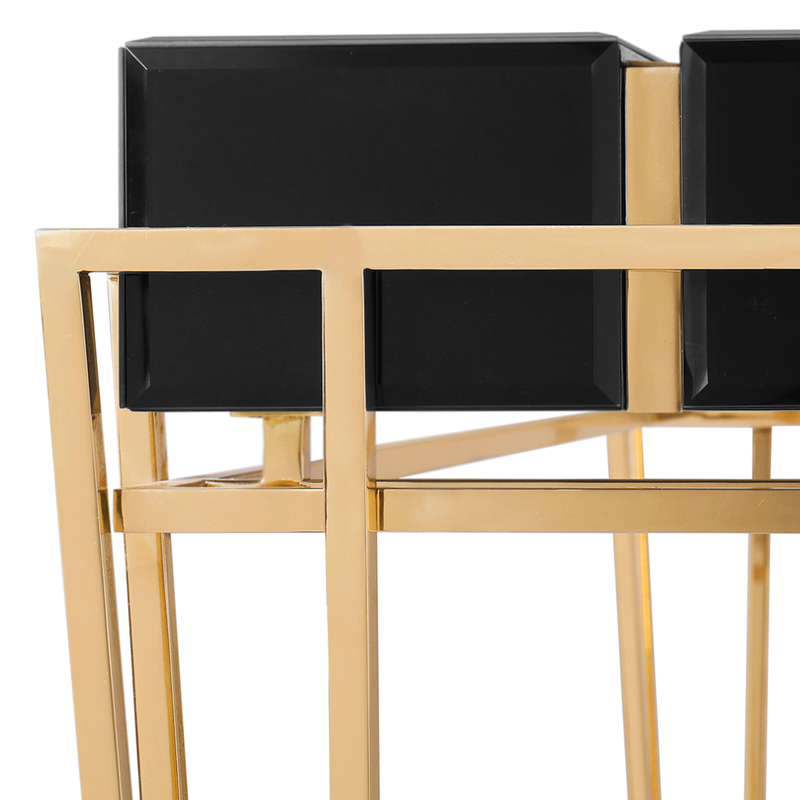 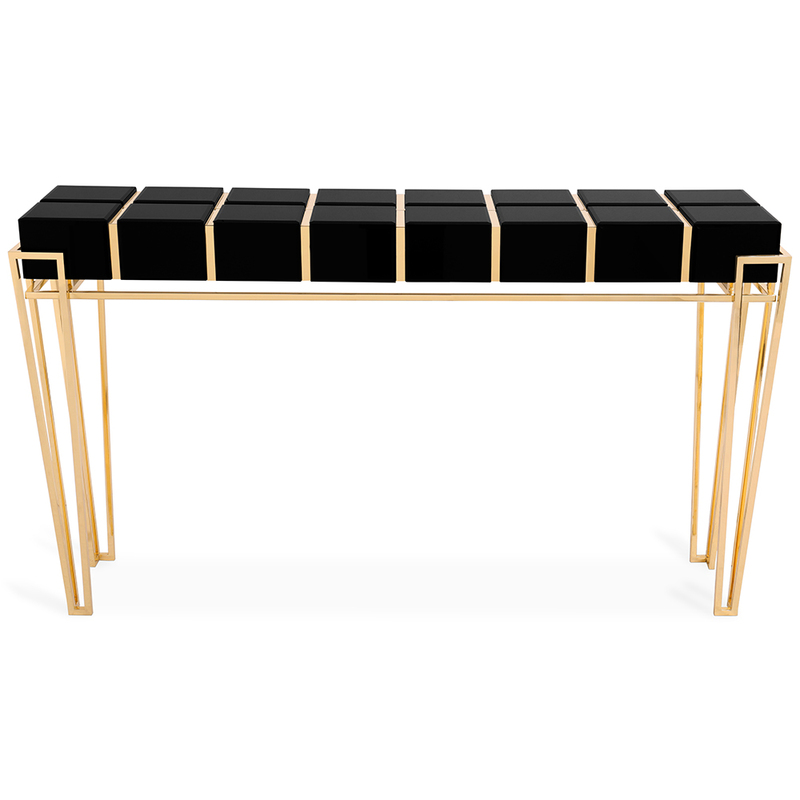 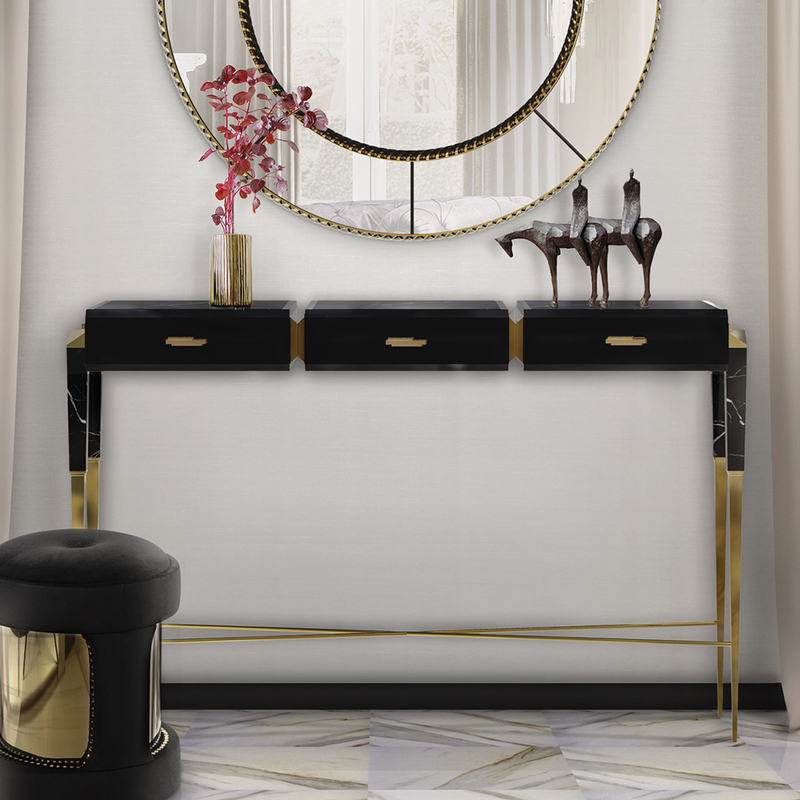 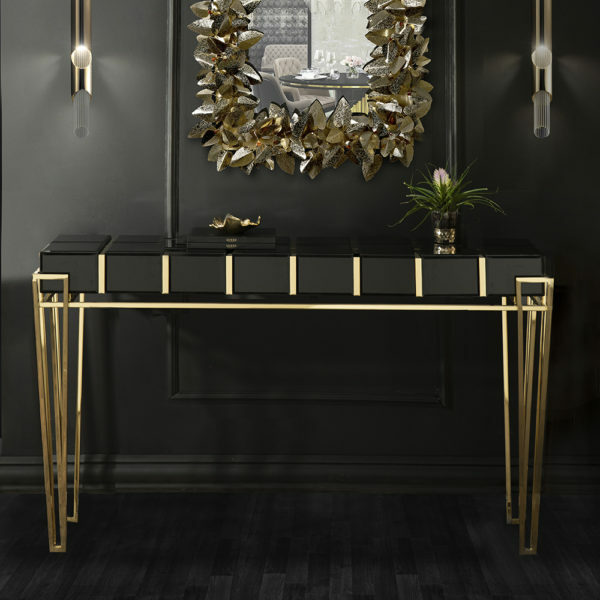 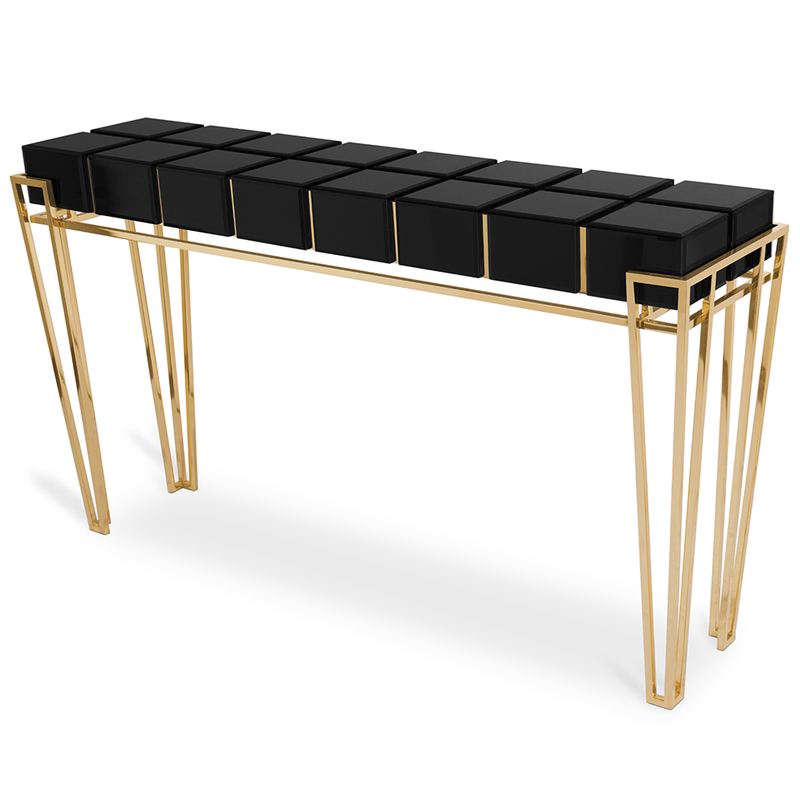 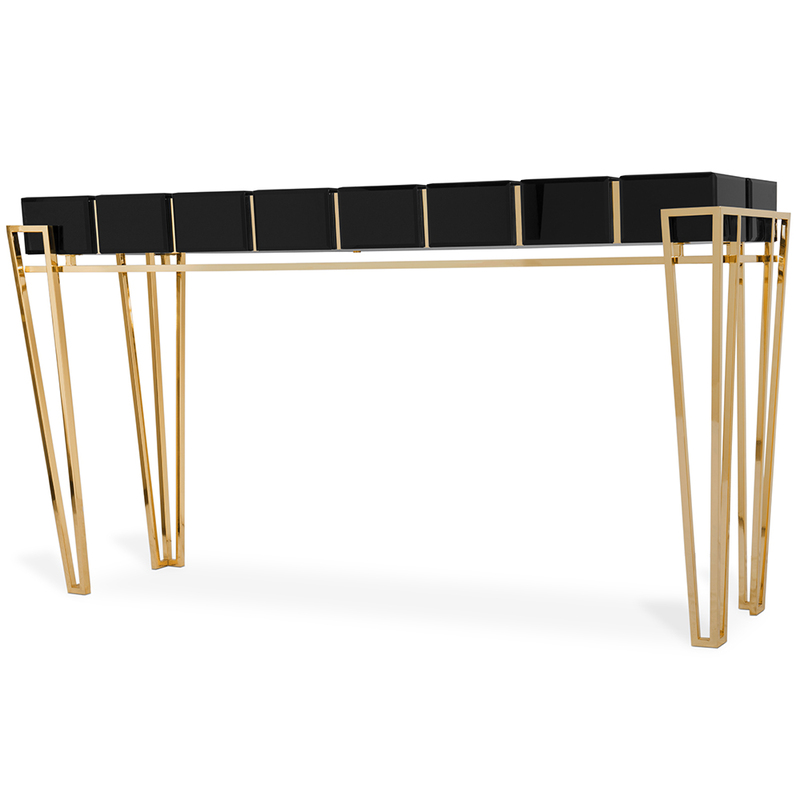 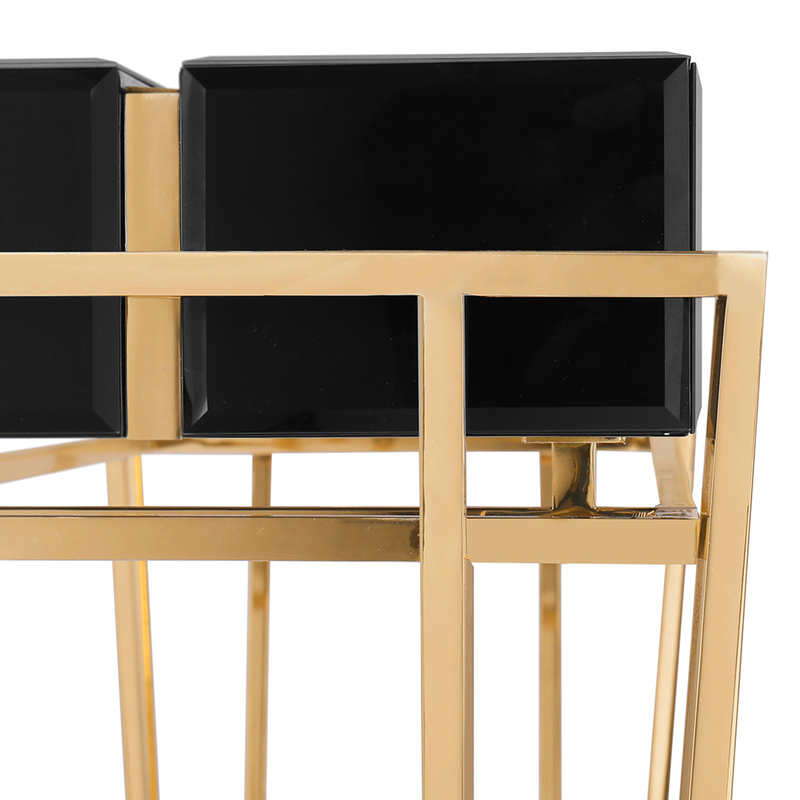 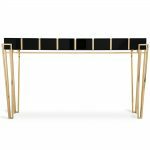 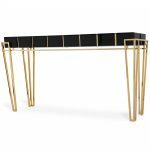 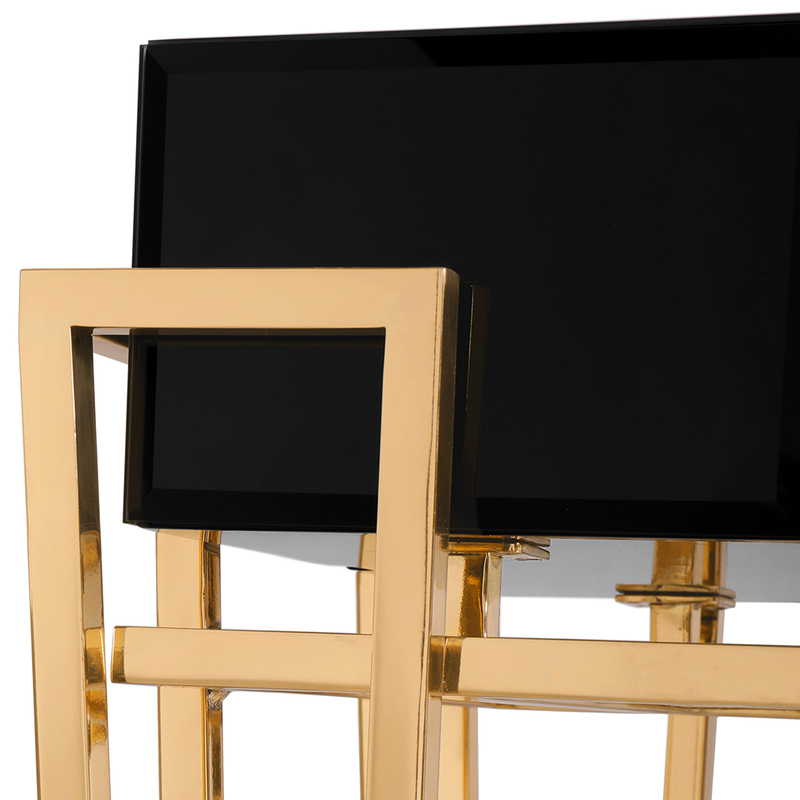 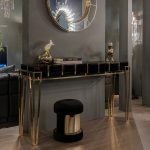 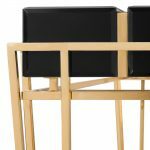 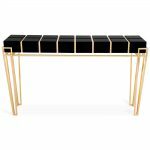 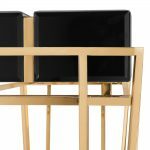 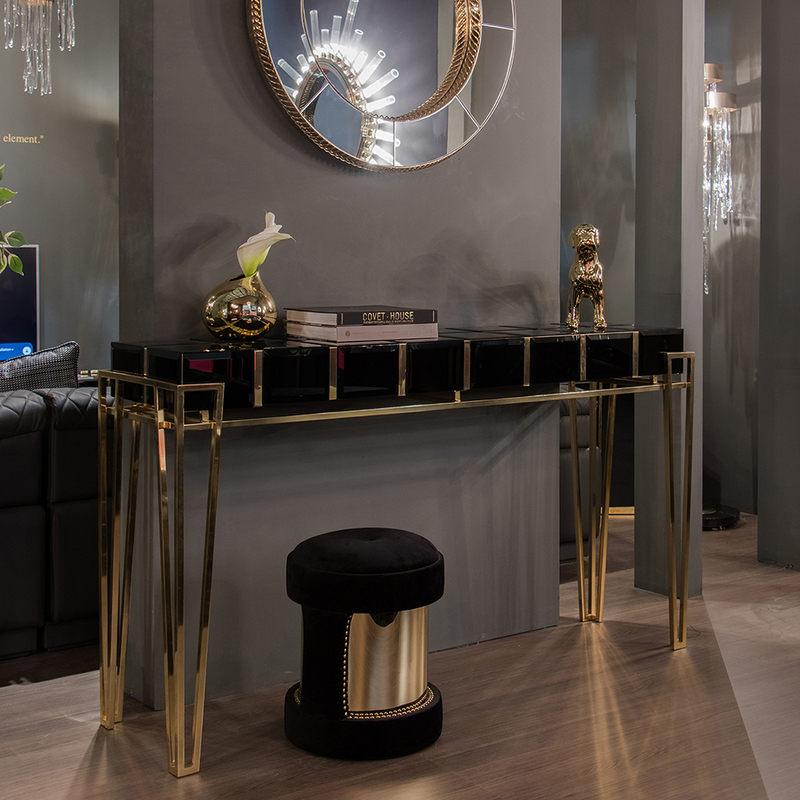 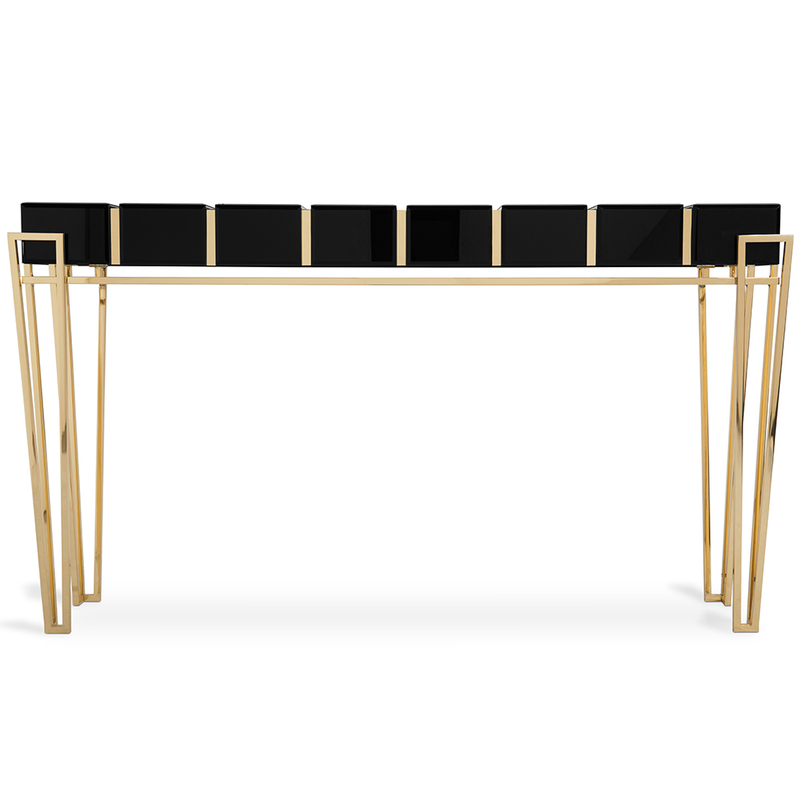 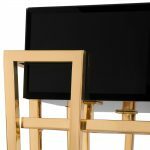 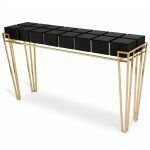 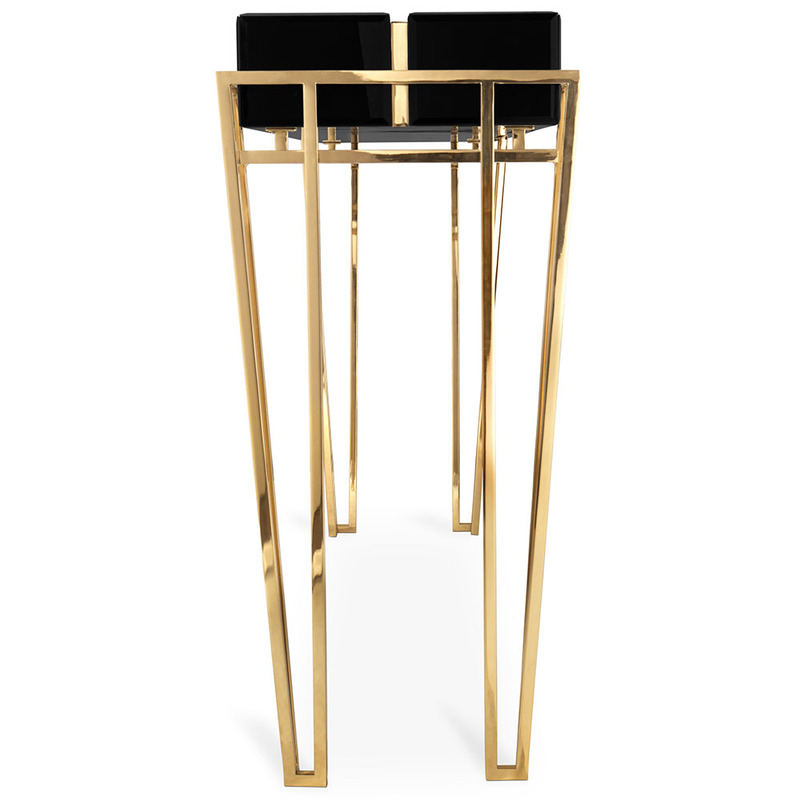 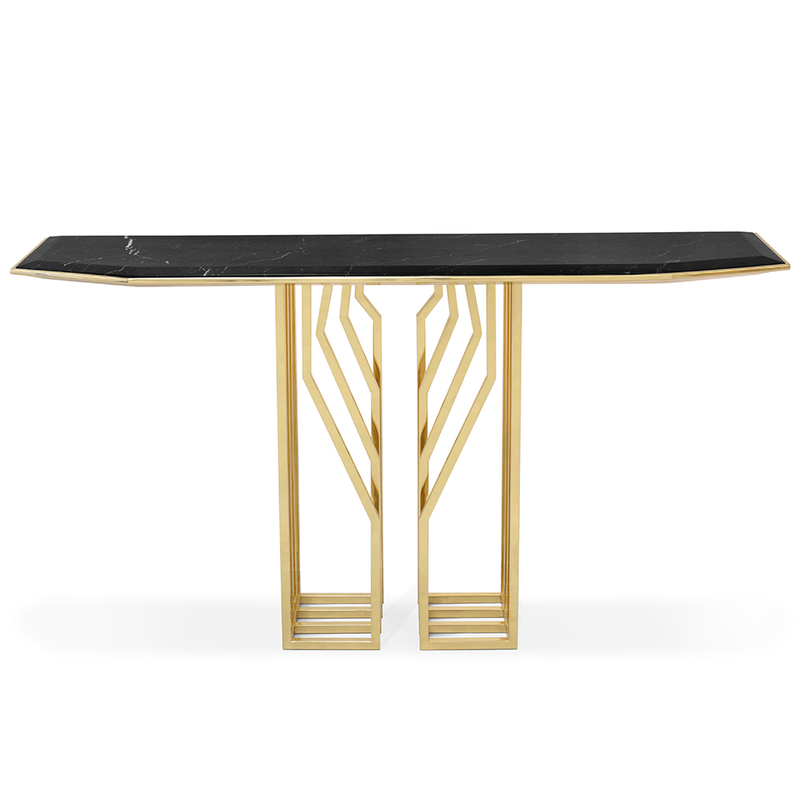 A geometrical design which consists of polished brass legs along with black glass inserts on the top. 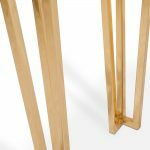 The structure is produced from walnut root veneer wood. 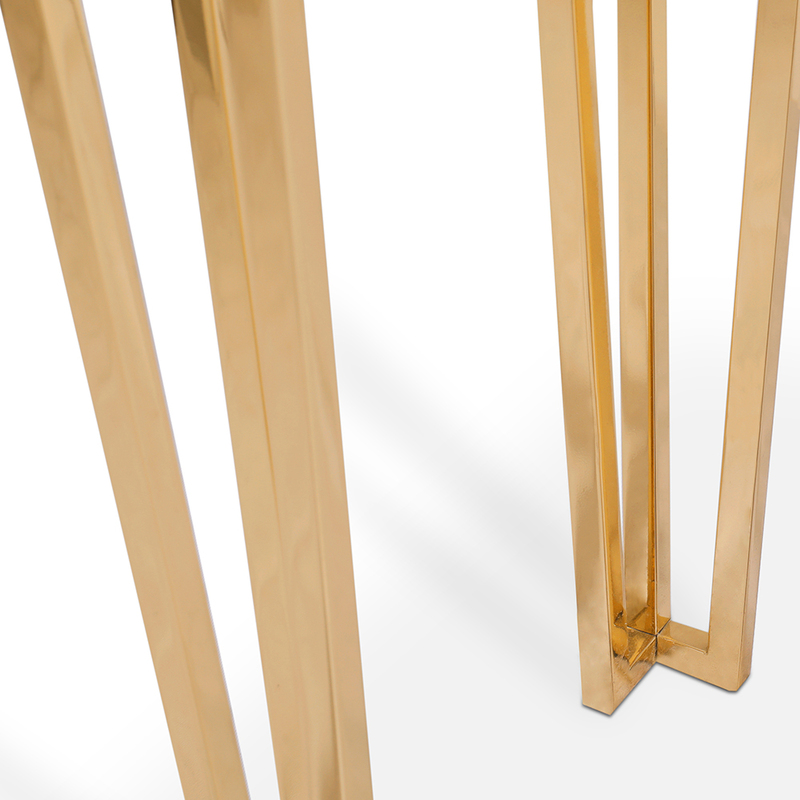 Bespoke sizes can also be produced to order. 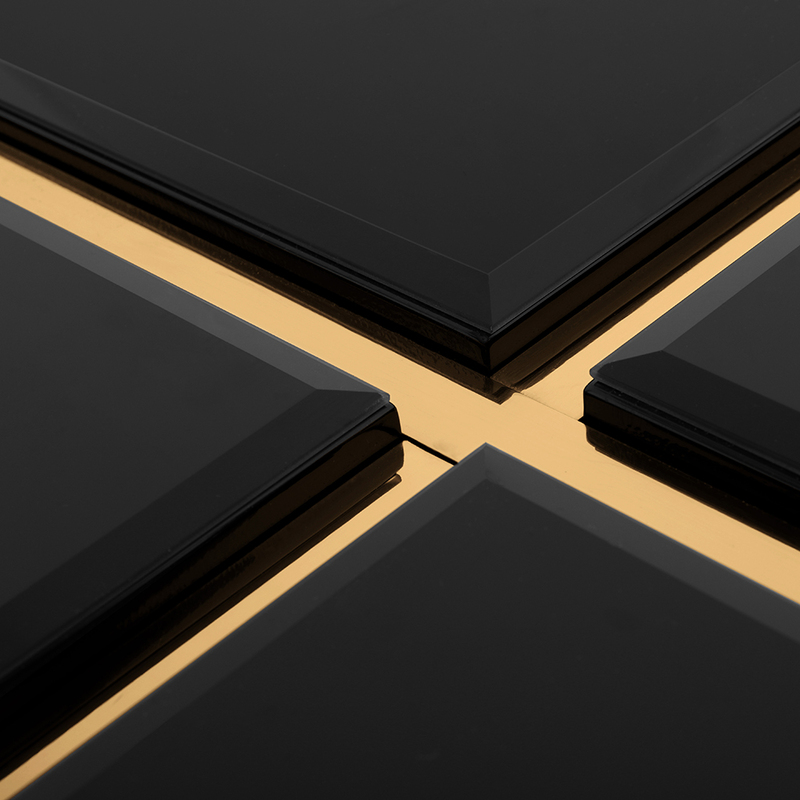 Simply contact our professional sales team for assistance.